Our Tonbridge minibus hire is based in Kent. Since we are a part of the community, we know what residents of the area need and expect in a minibus hire. We help with transportation for intimate gatherings and large events. Whether you plan on attending a day at the races or have plans to relax with friends at a local tavern, we can help you to get there safely. We have served residents of the area for a number of years. Our success as a minibus hire company is due to the loyal support of our clients. They appreciate the attention our Tonbridge minibus hire team pays to their needs and always call on us whenever they want to take a trip around Kent. Since we often transport groups of different sizes around the area, we ensure that we have all types of buses in our fleet to accommodate our clients. 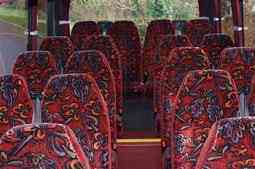 Our stylish Volvos are quite popular popular among our clients and can seat more than 70 people quite easily. Like the rest of our coaches, they offer a wide range of amenities to help you maximise your trip. We provide our clients with Mercedes 16 seater coaches and even smaller buses which are built for 10 or 8 passengers. 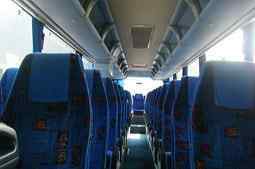 Our minibus hire in Tonbridge ensures that everyone in your group will be comfortable throughout your entire journey. Our chauffeurs are all properly licensed. They have been trained to handle each of the vehicles in our fleet, including our reliable Iveco coaches and sturdy Ford Transit vans. Like the rest of our team, they will always put your safety first. They will not speed while you are in their care and they plan your route ahead of time to ensure that they avoid delays wherever possible. This helps your group to enjoy a smooth journey. If you are visiting Tonbridge for the first time, it is often difficult to find all the places you plan to visit easily. Our drivers will pick you up from the airport and carry you safely to hotels in the area. If you are on route to local attractions, they are a good source of information on the town’s landmarks, such as Tonbridge Castle. People sometimes delay taking a holiday because they are worried about the cost. With our minibus hire in Tonbridge, you can see your favourite plays at Oast Theatre, without spending too much. All of our packages are priced to suit your needs. Hiring a single coach is much cheaper than utilising several cars for trips around or outside of this market town. Travelling through Tonbridge is easy when you have a reliable team to support you. Driving while on holiday can be a hassle since you may not get to enjoy all the beverages you want when your group stops by a pub or restaurant. It can also be stressful to find parking for lots of cars if you are with a large group. Having to plan your route and then concentrate on driving safely takes energy and designated drivers will not be able to relax as much as other people who are on your trip. Tonbridge Castle has been around for more than 900 years. It is one of the best examples in England of a Mott and Bailey Castle. Visitors to the site will also see a beautifully preserved gatehouse from the 13th century. Their interactive tours bring history to life and you can easily imagine what life must have been like as a lord or lady of the castle. The Hop Farm Country Park is a popular attraction in the town that caters to individuals and families. Several people camp there. You can spend an entire day outdoors learning more about animals, watching show jumping or touring the site. If you are interested in off road driving experiences in Kent, this is a good place to test your wheels. The Hop Farm is also a popular venue for weddings, dog shows and boat jumbles. People who are on holiday always feel good about their decision to choose our Tonbridge minibus hire for their trips. We will take you anywhere you want to go in style. 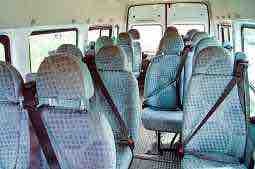 Our minibus hire in Tonbridge is known for punctuality. This is important to both our business clients and those who are in the city to relax. With the assistance of our capable team, you can stick to your schedule and enjoy as many attractions in the city that you plan to. Never miss out on a museum, gallery or bowling trip because you arrived late. We always get you to your destination several minutes early. We tailor all of our services to meet your needs. When you want a reliable way to get to or from the airport, we can help. Our buses are built with storage compartments which have adequate space for all of your luggage. If shopping, a visit to the theatre or an educational tour at a museum interests you, get in touch with our competent team to see how we can help you to achieve your goals.